We blend according to customer recipes and specifications, and work closely with the client on all aspects of scheduling and production to address potential issues early on and ensure that each campaign is trouble-free. Our experienced blending specialists maintain high quality standards for all our blending processes. The Blend-Pro lab provides in process batch and final product quality controls as well as recipe testing and optimization to help develop new formulas that meet customer needs. From sample to bulk solutions we offer a wide range of traditional packaging, including bag, pail, and drum bulk. We also offer labeling for both existing and new product lines. If you need a non-traditional package to suit your product or market, call us to review. Current packaging capacity can be customized to meet even the most rigorous customer requirements. With your product produced, packaged and palletized, we can help you with temporary storage, import/export drayage, consolidation, trans-shipment and trans-loading services. We also offer a full range of shipping solutions, including road, rail, air and ocean. As a primary blender, Blend-Pro produces a complete range of blending solutions and packaging alternatives from retail to bulk requirements. Our state-of-the-art blending equipment, lab & testing facilities can quickly take a customer formula to production. Blend-Pro maintains stringent confidentiality standards to ensure that our customers are completely confident that their business will remain their business. Blend-Pro is ISO 9001 (quality management) and 14001 (Environmental management) certified. Our teams provide consistently high quality products and services – from initial testing and formulation to the final phase of packaging and shipping. We support our customers’ certifications (including NSF 61, NF and CE) by supplying all the required testing, documentation and on site reviews and audits. We serve as a primary blender, help add capacity for new products and order income spikes. We can also serve as a key secondary resource to meet emergency manufacturing needs, or as an outsourcing service for start-up companies. Based in Allentown, Pennsylvania, the Blend-Pro facility features state-of-the-art blending equipment and a highly experienced production team. 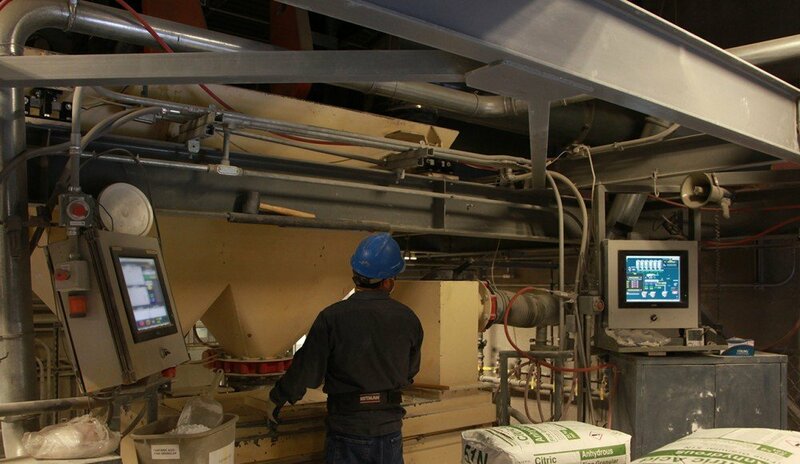 Blend-Pro is committed to using the most environmentally compatible materials and processes and maintaining safe working conditions for our employees. Our sustainability program works towards safer and "greener" toll blending solutions. Blend-Pro is ISO 14001 certified. Copyright © 2019 Penetron. All rights reserved.